In August 2016 I wrote the following post. Today I added an update to the end of it. Expect an imminent increase in the inflation measures that drive COLAs for retirees. But also expect growing pressure on the Fed to raise interest rates due to this same modeled inflation and invest accordingly. Recently Doug Noland wrote a piece on inflation – credit inflation and its impact on financial asset prices. His focus was primarily on the financial sphere. In this article we will take a look at the inflation measures that determines Cost-of-Living-Allowance (COLA) increases for retirees and informs the Federal Reserve on their interest rate policy and in turn affects your investments. Military Active Duty: The government uses the Employment Cost Index (ECI) which tracks the private sector total compensation growth to determine military pay raises each year. Over the last decade, DoD has capped military pay raised below the ECI to save money to spend elsewhere. Since basic pay is used to determine future retirement payments, these reductions have a long term impact. Federal employees: Federal pay raises are determined annually and approved by the President. Recent policy has been unkind to federal pay checks. Again, this effects future retirement payments and has a long term impact on federal employees. Energy is not a component of CPI, but it is a sub-component of both transportation (fuel) and housing (heating). Energy prices have swung significantly over time and as we will see it has had a large effect on the divergence of COLAs for retirees compared to that of ECI which tracks private compensation. The housing component is determined by a survey of homeowners asking what they think they could get if they rented their house. This component did not capture the housing bubble since it does not factor in the price of homes. In the future we could see rents continue to rise even if the Fed raises interest rates to “slow inflation”. Higher interest rates will put downward pressure on home prices. Our most interesting finding is that all of the other measures of inflation (CPI, PCE, GDP deflator) cycle around ECI. In other words, long term inflation has been highly correlated to the employed private sectors total compensation growth. When we hear that medium wage growth (adjusted for inflation) has been stagnate, we are basically saying private wage growth has matched inflation over the last decade. It is important to understand that the Employment Cost Index tracks private compensation for those who are in the workforce and is not to be confused with household income which varies based on the labor force participation rate. In other words, there is has been no recession for those who keep their jobs. When energy prices are flat we find inflation has grown at approximately the same rate as the ECI. In 2014, energy prices plummeted pulling the CPI and the implicit price deflators growth rate down with energy prices as they did in 2008. As energy prices slowly recovered after 2008, the CPI and deflator grew faster than the ECI allowing it to catch up by 2011. Does this mean the CPI and COLAs will remain subdued until energy prices climb again? No. If energy prices simply stop falling and simply hold steady our CPI-W will match the ECI that is running around 2.4% presently. If energy prices bounce back over the next couple of years to previous levels, you would see CPI-W exceed the ECI during that time. The ECI (purple) shows little fluctuation since 2002 even during recessions. As measured, total private compensation has remained on a steady uptrend even during recessions. In 2014 the CPI, PCE, and the GDP deflator took a large hit due to crashing energy prices creating the current divergence. In the next chart I added the energy index to highlight energy’s impact on each model. With the ECI presently running about 2.4% all we need is for energy prices to stop declining to see the CPI-W and the Fed’s favorite inflation gauge (Personal Consumption Expenditures implicit price deflator) exceed the Fed’s targeted 2% inflation. In fact, we could see inflation approach 3% very rapidly when we look at what is happening with the other components of CPI. The Housing component makes up over 40% of the CPI and it is running at a higher rate than the ECI (even with the energy sub-component). Medical Care (8% weighting of CPI-W) continues to climb at a very high rate. If energy prices stabilize, it looks like 2.5% inflation is baked into the formula. If the economy actually experiences solid growth inflation could easily hit 3%. If higher energy prices return, you could see the CPI-W rapidly close its current divergence with the ECI by growing at a 4% rate. The higher inflation that is already baked into the formula will have an impact on the Fed’s interest rate policy. Currently the market is not expecting a rate hike due to a sluggish economy. There is no law in economics that says inflation can’t run high if the economy is not growing – this defines stagflation. With growing recognition that ever-lower interest rates are not leading to more economic investment and consumption, the Fed may keep to their word on their 2% inflation target. I also believe the Fed wants to raise rates to give them some room to cut them in the future. But remember, what is good for your COLA may not be good for your investments. The stock market is pricing in low alternative returns on bonds. Once interest rates rise, this justification for high valuations will no longer apply. Also consider that the implicit price deflators are how GDP and consumer spending growth rates are adjusted for inflation. A lower GDP deflator as we have seen the last couple of years gives us a higher GDP growth rate reading whether it is warranted or not. Once the deflators match the ECI reading of 2.4%, this will subtract about 1% from the real GDP growth models and the same applies to consumption growth rates. While very little will change in the real world economy, the Fed’s models will show higher inflation and slower growth – and increased talk of stagflation. If the economy does find its footing, the Fed will find itself behind the curve in raising interest rates due to wage-push inflation. It may also find that higher interest rates have little effect on the current methods for measuring inflation. We are seeing the effects of inflation baked into the models. Note the two releases related to spending. Real Personal Spending (MoM) which is adjusted by inflation came in 0.1% below expectations. This is because Core PCE Price Index (inflation) came in 0.1% above expectations at 0.3% month-over-month. That equates to 3.6% annualized PCE inflation. As the inflation rises and hits the components of GDP, GDP will be adjusted down this year by 1% compared to last year’s adjustment. While the Atlanta Fed’s GDPnow is an incomplete snapshot of economic growth, this week’s update shows the effects of higher inflation deflators. The Atlanta’s Fed website explained the March 2017 adjustment as follows. The GDPNow model forecast for real GDP growth (seasonally adjusted annual rate) in the first quarter of 2017 is 1.8 percent on March 1, down from 2.5 percent on February 27. The forecast for first-quarter real personal consumption expenditures growth fell from 2.8 percent to 2.1 percent after this morning’s personal income and outlays release from the U.S. Bureau of Economic Analysis. With modeled inflation bouncing back we will see real income, real consumption and real GDP growth all take statistical hits. The Fed will respond to inflation, not the statistical hits to economic measures and probably not to the coming financial asset price hits if they feel they are behind the inflation curve. This week the Federal Reserve talking heads were out in force talking up a March 2017 rate hike in order to drive up the market’s expectations. It seemed to work. It is my view that the new default policy for the Fed is to raise rates slowly verses holding until data comes in. Higher inflation and wage growth are underpinning this new monetary path. Invest accordingly. If interested, I talk more about how our investments may be impacted by inflation and monetary policy in my market commentary and situation reports. 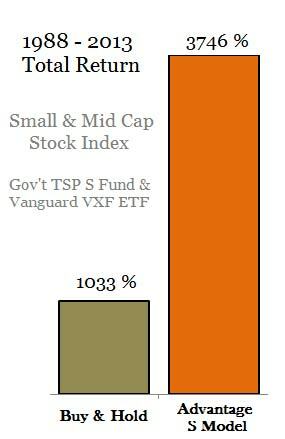 Learn more about TSP & Vanguard Smart Investor. ‹ Is it Two Weeks Until TSP G funds Stops Paying Interest?